If you missed Marshmello's in-game Fortnite concert at nope o'clock this morning, an encore performance has been announced for tonight. 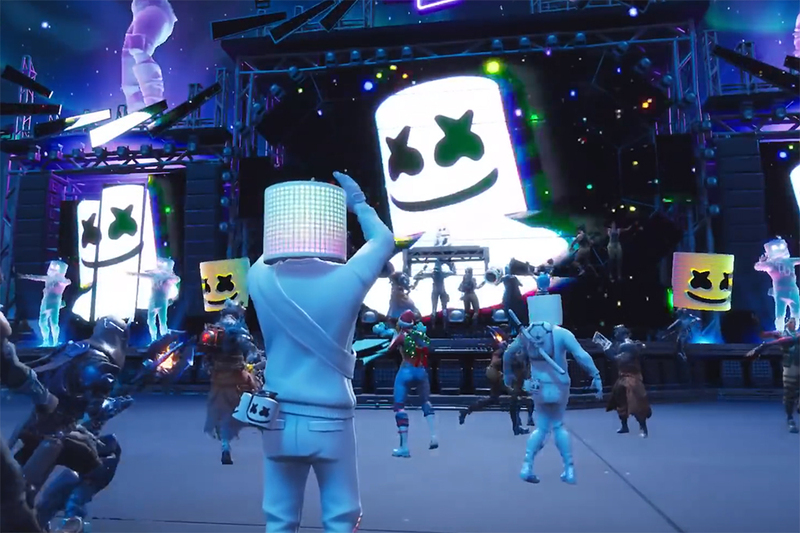 If you missed Marshmello’s in-game Fortnite concert at nope o’clock this morning, don’t feel down. An encore concert has just been announced for later today, starting at a time you’re more likely to feel like partying. Kicking off with ‘Alone’, the short 10-minute set was a spectacular light show. On top of the colourful stage lights and bright screens behind the DJ, giant holograms of the pink Cuddle Team Leader bear as well as Marshmello himself appeared throughout the performance. Fortnite also took full advantage of its digital medium, making changes in gravity to launch attendees into the air at certain points, and sending them literally flying during ‘Fly’. Community response has been incredibly positive. According to The Verge, the live concert was held simultaneously in several thousand games, each hosting up to 60 players at a time. Weapons were also disabled during the performance, so nobody had to worry about having their dancing rudely interrupted. As dazzling as this concert was, getting up before 6:00AM on a Sunday morning is a big ask. Sunday is a day of rest, and waking up before the sun is the exact opposite of rest. Many Australians therefore missed the event, and have been left out of the loop while the rest of Fortnite‘s community rides the concert high. Fortunately, Marshmello has announced an encore concert at 6:00PM AEDT tonight. Held once more at Fortnite‘s Pleasant Park, it’s a second chance for anyone who didn’t make it to the first performance – or who just wants to experience it all again. Be prepared to get your bloodbath on right after, though. Immediately after this morning’s concert ended, a three-second countdown began. Upon reaching zero, attendees were transported to the firework-filled skies above Pleasant Park as though dropped from the Battle Bus, and weapons were enabled once more.